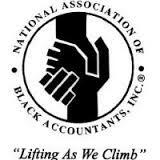 The National Association of Black Accountants (NABA) Eastern Region Student Conference was held on October 9-12, 2014 in Bethesda, Maryland. Students in attendance participate in two-and-a-half days of workshops, seminars, and interview sessions. Keiter was pleased to sponsor Destinee Moragne, a student at Virginia Commonwealth University and NABA@VCU member, to attend this year's conference. Destinee was recognized out of over 250 students at the conference as the Most Memorable Student. Congratulations Destinee!